If you own a small business, you know that hiring a website developer is outrageously expensive. In addition, hiring a web developer does not help you down the road, when your website needs updating or re-arranging. However, website development is necessary for international business expansion. That is why many small business owners are deciding to better invest that money into coding academy lessons for themselves, so that they are able to create and update a simple website themselves. If you are a DIY business owner, there are many Coding Academy, accurately named Code Academy, alternatives that offer cheap coding courses. Keep reading below to find out what options are available to you to help you improve your online business presence all on your own. The Creative Coding Academy is a program offered by one of the biggest companies in technology, Microsoft. This course is offered by the Microsoft Virtual Academy. It promises to help you learn how to code by making amazing things. The course is 20-hours in duration. In it, you learn how to design, program and publish mobile applications. 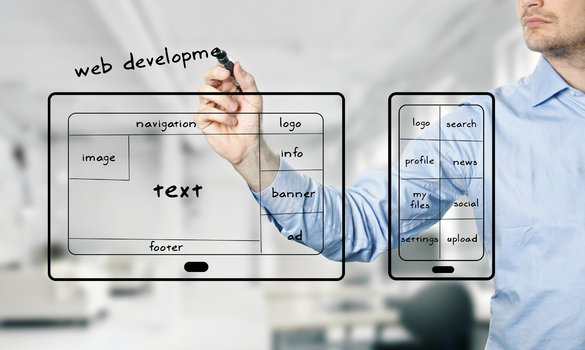 Designing a mobile app can greatly increase the visibility of an online business and improve your online presence overall. Mobile apps are one of the most popular forms of millennial media. That is why taking the Creative Coding Academy course from Microsoft Virtual Academy is such an excellent idea for digital business owners. Another excellent learning to code solution for small business owners is offered at The New York Code and Design Academy. This coding school is not free. However, it provides a much more in-depth curriculum for those who want to learn more than just getting started with Java programming. They also provide career assistance, if you decide to make coding your new business. If you want to learn how to code like a pro, New York Code and Design Academy may be the best option for you. Grace Hopper Fullstack Academy is another place for you to learn how to code, but only if you are a woman. Grace Hopper offers an immersive coding education for women, specifically. In addition, there is no upfront tuition cost for those that attend. The coding academy was created in response to the ever-growing gender gap in tech. Combine what you learn with the best webinar software to improve communications on your site. If you are a female, you may want to take advantage of the assistance provided by Grace Hopper Fullstack Academy. Khan Academy is the final coding academy to make the list. Khan Academy was one of the first free online coding classes available. Over the course of the last several years, they have definitely learned a thing or two. Khan Academy coding courses provide easy to follow step-by-step video tutorials and arranges their course sections in user-friendly way that is incredibly easy to navigate. This is important, because a small business website is much more important than other things, like ERP software for small business. If you just want to learn the basics of coding for free, consider visiting the Khan Academy website. Lastly, coding bootcamps also provide great coding courses. They are often more advantageous than courses from a coding academy for numerous reasons. Firstly, they offer a more do-it-yourself style of learning. With intensive, self-guided activities, you can gain the knowledge you need quickly. They allow you to learn the best ways to code for you in particular. They also represent how technology can save you money. By taking these courses online, you will not have to hire someone to create your site. Then, you can develop the best website for your business and expand your opportunities. If you are a small business owner who want to learn how to code to create your business website and eventually open an online store yourself, consider taking a class offered by one of the coding academies mentioned above. These top coding courses can teach you the basics of coding, or, if you would prefer, you can immerse yourself in a more in-depth coding course at Grace Hopper or The New York Code and Design Academy. Consider the coding classes mentioned above to save your business money and improve your business technology operations in the long run.